Range Of Discharge: More than 2 sec. 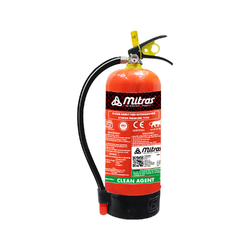 We hold expertise in offering the wide gamut of Clean Agent Fire Extinguisher in the industry. The offered Fire Clean Agent Types are designed as per the varied customer requirements. Supremex fire extinguishers offer the superior performance and reliability you expect from quality products. clean agent replaces halon 1211 as the agent-of-choice for applications where the agent must be clean, electrically non conductive, environment-friendly, extremely low in toxicity and exceptionally effective. 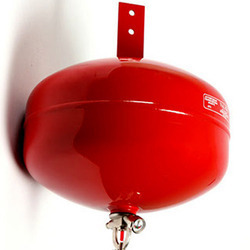 We are offering Clean Agent Type Fire Extinguisher that are recognized for their convenient usage and efficiency.Suitable For Class A, B, C & D Fires Involving Combustible Material Like Wood Paper, Cloth Flammable Gas Liquid Petrol, Paints Solvents & Electricity Started Fires & All Classes of Fire.